Many of the qualities that make Florida an attractive place to live also make it particularly vulnerable to climate change. The state’s extensive coastline, natural springs, forests, wetlands, Everglades, coral reefs and abundant fresh water are all at risk due to rising temperatures and seas. In fact, Climate Central — a respected climate information clearinghouse — chose Florida as the state most at risk from the impacts of climate change. The National Climate Assessment — a group of more than 300 experts established by the federal government — also concluded that several Florida cities — including Miami, Tampa and Fort Lauderdale — are among the world’s most vulnerable. The vast majority of Floridians (80 percent) live or work in one of the state’s 35 coastal counties, most within 10 miles of the coast. These communities contribute about 79 percent of the state’s economic productivity. Most of Florida’s coastal cities are now threatened by flooding and storm surges caused or exacerbated by rising sea levels. For example, the 8 inches of global sea level rise since 1900 already produces significant flooding in South Florida during extreme high tides, so called “king tides.” As a result, the Miami urban area ranked highest in a global study of asset exposure to surge-induced flood events, at $3.5 trillion. Additional impacts of sea level rise include beach erosion, salt-water intrusion into drinking water supplies and degradation of coastal ecosystems. These climate-related impacts threaten sustained growth in key sectors of Florida’s economy, including tourism, agriculture and trade. In 2015, 105 million visitors came to Florida and spent $81 billion. Tourism generated 17 percent of the state’s sales tax revenue and employed nearly 1.2 million Floridians, making it the state’s number one industry. Florida’s agricultural industries contribute $60 billion to the gross state product and employ 1.35 million full- or part-time workers. Florida’s seaports and network of navigational channels are another essential part of the state’s economy, moving more than 100 million tons of cargo each year. Cruise ship and cargo activity support more than 680,000 jobs and generate more than $96 billion in economic activity. Projections for the future indicate that Florida’s annual rainfall could decrease by 10 to 20 percent, and hotter and drier conditions are likely to prevail — with the number of days with temperatures exceeding 90°F increasing from an average of 25 to over 125 in 2050. Tropical storms and hurricanes are also likely to become more intense. Current estimates are that sea level will rise between 1 and 4 feet by 2100, but the potential collapse of the West Antarctic Ice Sheet could cause a much greater increase. The pace of this change and our ability to prepare and adapt to it are directly linked to our own activities. It is a global problem, but with only 4.4 percent of the world’s population, the U.S. emits 15 percent of the world’s CO2. While the pace of change is slowest at the national and international levels, many individuals and communities are moving swiftly. One example is the Southeast Florida Regional Climate Compact that calls for Broward, Miami-Dade, Monroe and Palm Beach counties to work together and speak as one voice to coordinate mitigation and adaptation plans in response to climate change. 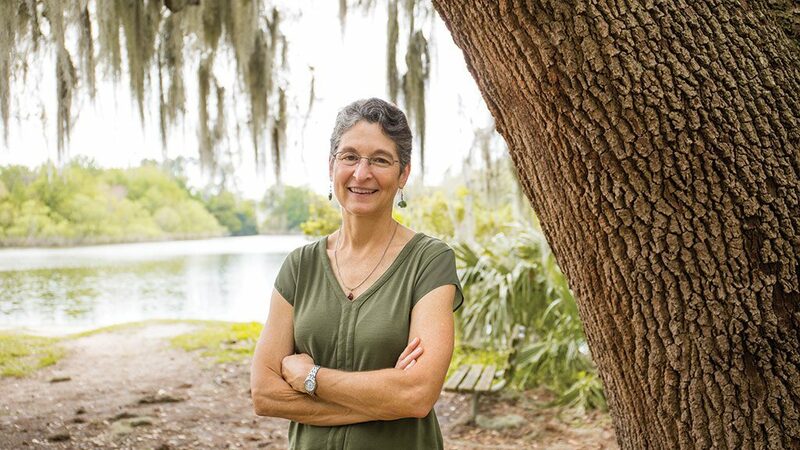 At the University of Florida, the Florida Climate Institute (FCI) coordinates researchers’ efforts to better understand the complexities of the climate system and the risks associated with climate change; develop mitigation and adaptation strategies; and inform and engage elected officials and the public. 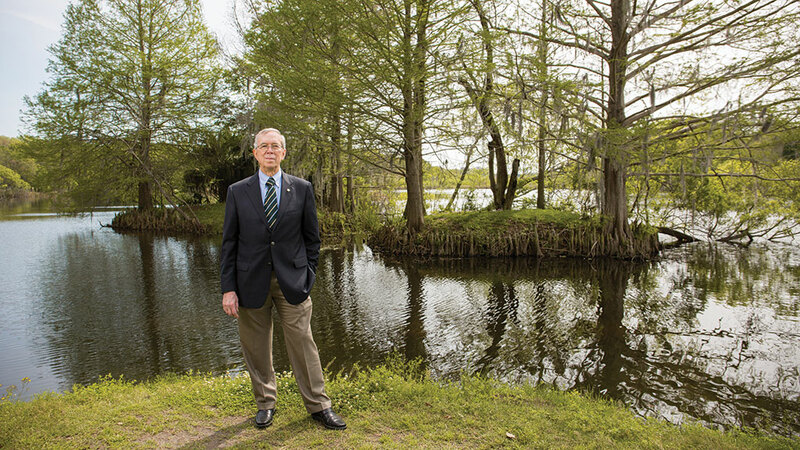 The institute draws faculty and students from every college at UF and leads a statewide consortium of nine universities to coordinate climate expertise throughout the state. This issue of Explore highlights just a small sampling of the hundreds of initiatives University of Florida faculty and students have undertaken to understand and address the many ways climate change is already affecting our state so that Floridians will have the scientific information needed to make informed decisions.